Pursuing one's insistent curiosity will inevitably lead to unexpected discoveries as Burt Golub of Pasco County, Florida will be the first to admit. This new branch in the course of Golub's multifaceted life came about when he asked why 50 caliber aircraft ammunition shells are found on the 4000 acre Werner-Boyce Salt Springs State Park, located in his home county. 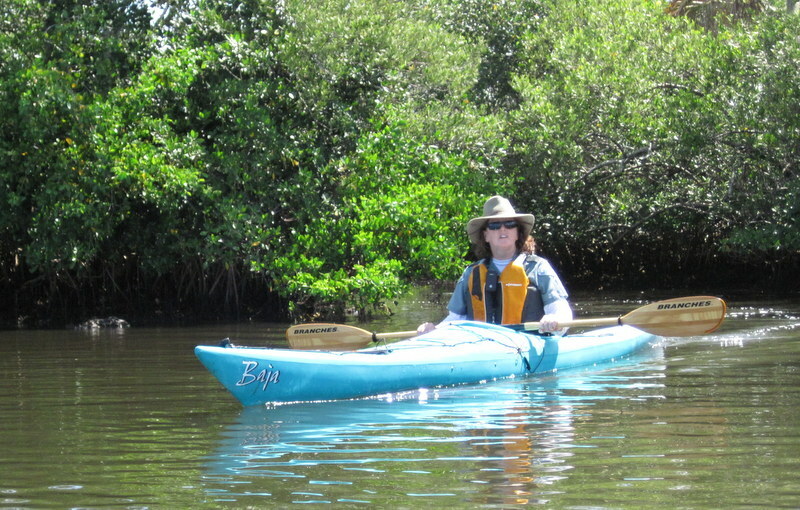 Because the park is 75 to 80% water, it is best seen by boat, which I had the opportunity to do earlier this week, on a tour of Florida's Nature Coast. On this paddle, I was in the company of Golub and Karen, one of Werner-Boyce's rangers. And this is how I found two of my favorite interests; outdoor activities and aviation, come together - right there in a conversation with Golub. As head of the Salt Springs Alliance - the volunteer group of citizens who support the Werner-Boyce park, Burt has been poking around the salt brush, pine and mangroves for years, trying to piece together from the clues on hand, what happened on this land over the past millennia. He can talk about the geology of the limestone-lined channels, the springs feeding fresh water into the salt marsh and theorize about the likely first peoples of the area. But it wasn't until recently that he started asking around about the World War Two-era ammo that is here in abundance. The shell casings are stamped with a date indicating they were manufactured in 1942 - when MacDill Air Force Base was home to the B-26 Marauder bomber and the B-29 Super fortress. "These shells were standard aircraft ammo," he said, leading him to believe that this wilderness property is like many other uninhabited Gulf keys - used for target practice for the Army Air Corps. 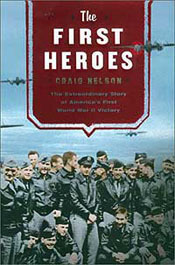 A number of books; Jump, Damn It Jump, by Edward Logan and The First Heroes by Craig Nelson describe how student pilots, navigators and bombardiers were assigned to practice for air combat all along Florida's side of the Gulf of Mexico, beginning at the Everglades and working up north and west to Apalachicola in the Florida panhandle. So as breaking news goes, Golub's theory about the shell casings on this little shard of land isn't likely to be wrong, nor it is likely to make headlines. It is a dab of paint adding color to a much larger picture, still it is intriguing. This weekend as Americans remember soldiers who died in military service, the contrast between the present and the past symbolized by the discovery of artillery shells in a nature preserve is an appropriate reminder of the ever-flowing progress of life. Or as the old saying goes, "you can't put your hand in the same river twice." It really doesn't matter whether the river is a metaphor for the park or the people like Burt Golub who are using it. When you practice the art of war from the air, you have to deliver your ordnance somewhere. Wherever that may be, it's not nice for whatever lives in that location, and the evidence lasts a long time.